Edinburgh University Students’ Association is a democratic, student-led organisation representing Edinburgh University students to the University and beyond. We are an autonomous body with registered charity status and value our independence from the University of Edinburgh. We are a group of students from across the UK who want to raise awareness of the links between global environmental change and health, and to help protect and promote human health through adequate climate mitigation and adaptation policy. Heriot Watt University Student Union campaigns hard to make sure students' experience at Heriot Watt University is as amazing as it can possibly be. NUS (National Union of Students) is a voluntary membership organisation which makes a real difference to the lives of students and its member students' unions. We are a confederation of 600 students' unions, amounting to more than 95 per cent of all higher and further education unions in the UK. Peace Child International empowers young people to inform themselves and then take action, to be the change they want to see in the world. Restless Development is the youth-led development agency working in 10 countries across Africa, Asia, the UK and USA. Our vision is for young people to be at the forefront of change and development, taking on leadership roles to address the most urgent issues facing their communities, countries and world. Our strength comes from being led by young people, from the boardroom right through to the field. SPEAK is a network of students and young adults who campaign and pray about issues of global justice. Through bringing change to situations of injustice, we aim to share our faith in our all-loving, all-powerful creator: God. Students for a Free Tibet (SFT) works in solidarity with the Tibetan people in their struggle for freedom and independence. We are a chapter-based network of young people and activists around the world. Through education, grassroots organizing, and non-violent direct action, we campaign for Tibetans’ fundamental right to political freedom. Our role is to empower and train youth as leaders in the worldwide. Surfers Against Sewage (SAS) is an environmental charity protecting the UK’s oceans, waves and beaches for all to enjoy safely and sustainably, via community action, campaigning, volunteering, conservation, education and scientific research. SAS projects target environmental issues affecting beaches including marine litter, sewage pollution, climate change, toxic chemicals, shipping and coastal development. SAS has over 50,000 active supporters across the UK. 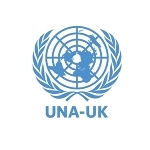 The United Nations Association - UK (UNA-UK) is the UK's leading source of independent analysis on the UN, and a UK-wide grassroots movement. UNA-UK believes that a strong, credible and effective UN is essential if we are to build a safer, fairer and more sustainable world. UNICEF is the world’s leading organisation working for children and their rights. UNICEF provides medicine, food and water for children to survive and flourish, and education and protection to change children’s lives for good. UNISON is Britain and Europe's biggest public sector union with more than 1.3 million members. Our members are people working in the public services, for private contractors providing public services and in the essential utilities.